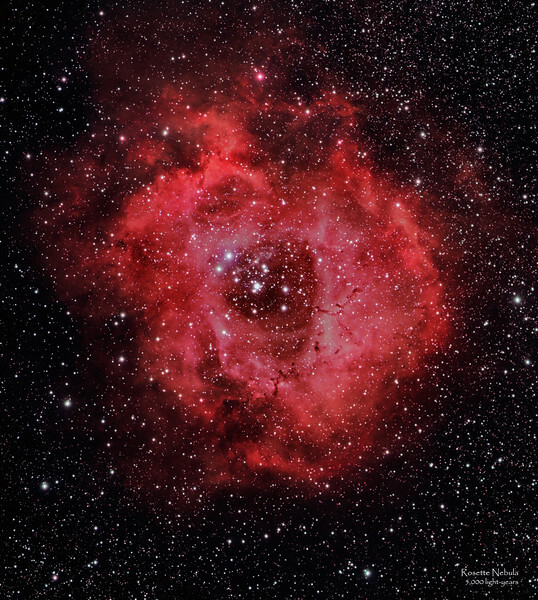 The Rosette Nebula, an emission nebula, is approximately 130 light years across. The open cluster of stars at the center (NGC 2244) was formed from gravity compressing the nebula's gases and matter over time. The radiation from the young stars excite the hydrogen gases, causing the gases to emit radiation that produces the light from the nebula we see.